What, you don't think a building named after Steve wouldn't show obsessive levels of perfectionism? Ahead of next week’s iPhone 8 keynote at Apple Park’s Steve Jobs Theater, a few more details have been shared about Apple’s brand new location for media events. And they’re every bit as obsessively perfect as you’d expect a building named after Apple’s co-founder and former CEO would be. In order to gain access to the subterranean theater, attendees can either descend via a spiral staircase or using two custom elevators. These elevators rotate as they descend, so that passengers enter and exit through the same door, even though they do so from different directions. The theater also sports a retracting wall, which opens to reveal a hidden product testing area. In addition, the leather seats in the building reportedly cost Apple $14,000 apiece. It’s yet another indication of the kind of perfectionism that Apple typically employs. Previous reports about the Apple Park campus have suggested that Apple insisted on everything from perfectly flat doorways so that that engineers don’t have to adjust their gait while entering a building to Steve Jobs’ insistence that it include a very specific type of wood, ideally cut in January so as to have the least amount of sap and sugar content possible. Anyone who’s followed Apple for a few years will be used to these levels of perfectionist design. In the case of the Steve Jobs Theater, it’s more understandable than ever. Not only does it bear Jobs’ name, but its status as a building open to the tech press also means that Apple views it as an extension of the same user experience it offers with its packaging. We can’t wait to hear more impressions of it next week, when Apple stages its September 12 media event. 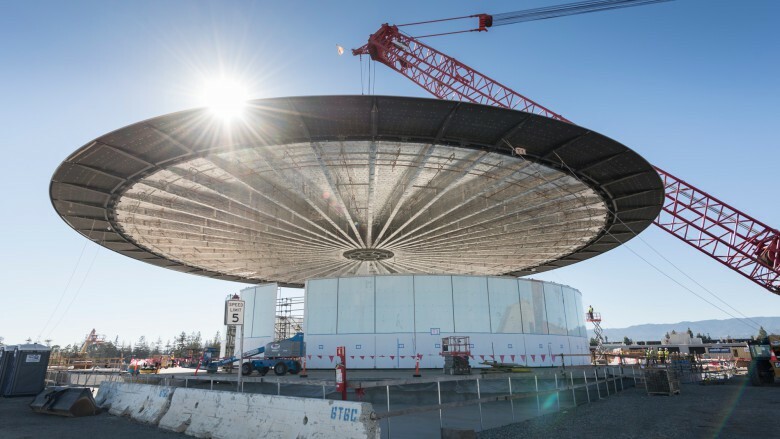 Until then, you can check out a drone flyover video showing the Steve Jobs Theater right here. What is your favorite piece of innovative Apple design — or tiny design flourish — over the years? Leave your comments below.